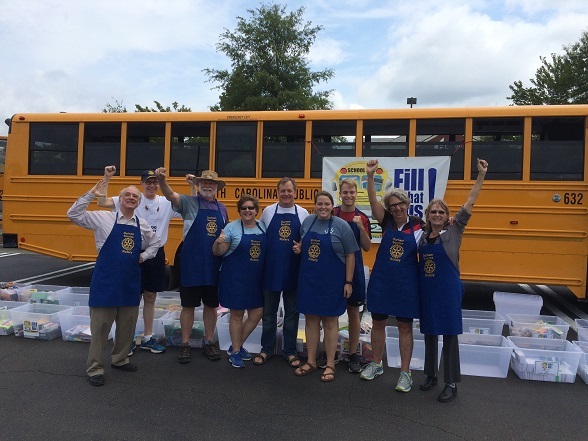 Durham Sunrise Rotarians have always been enthusiastic and loyal advocates for children, and for the dedicated professionals who teach and care for them during their years in grades PK through 12. We have been particular fans of Crayons 2 Calculators, our great local non-profit who collect school supplies – approaching $200,000 worth this year – especially through a collection effort before the start of school each year. Teachers are then able to “shop” for necessary supplies for their classroom and students, without having to dip into their own modest resources.